Beloved is still definitely on my list! I’m glad to have been your guinea pig in this case. And even gladder that it worked out for me! I had read so much historical fiction and was starting to fear that it was all the same and maybe I couldn’t enjoy it anymore? But first The Secret Book of Grazia dei Rossi and now The Fortune Hunter have reminded me what it’s like when this genre is gooooood. I love fictionalized accounts of real people. I get to learn about history and read fiction at the same time – what could be better? Sometimes it’s hard to find ones that are well done. This one sounds good! Was it easy to know what was fact and what was fiction? I loved that Beth Powning spelled it out for us at the end of her book, A Measure of Light. Goodwin does the same thing at the end of the book. 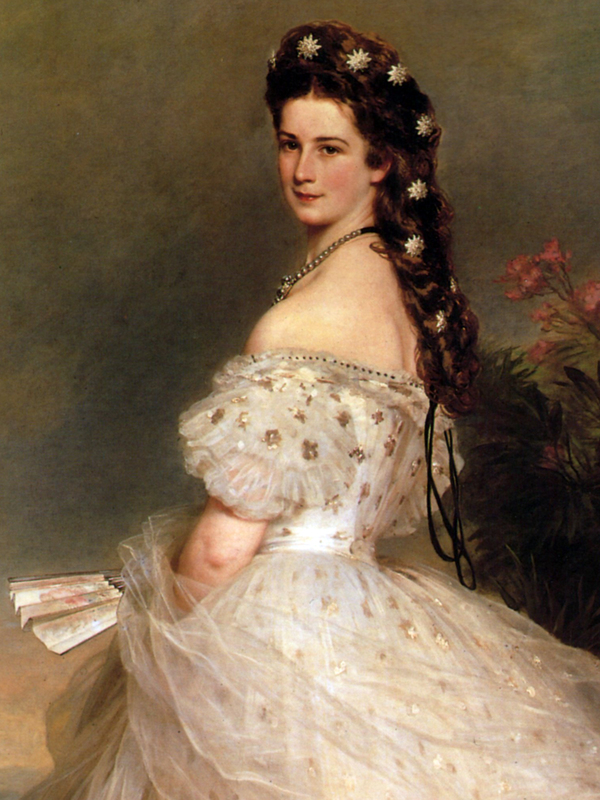 There’s actually a shortened biography of Elisabeth of Austria’s entire life – including her tragic death. She’s a historical figure that has featured in passing in this genre but has never been the star and she should be the star more often. I really have been wanting to read this one so I’m so glad you enjoyed it. For some reason The American Heiress was never one that I wanted to try- and now I feel validated in that as well! So validated! I hope you read this one and that you enjoy it like I did! I’ve seen the cover of The Fortune Hunter everywhere, but had no idea what the story was until I read your review. It sounds very interesting. I love how you already had an interest in Elisabeth of Austria because of the portrait from Vienna like you were meant to read this book. This book was totally meant to find me. I hadn’t heard about it at all until I saw it at Costco. Anytime I stopped reading this book I couldn’t wait to get back to it. That’s funny. I liked The American Heiress a lot more than I did The Fortune Hunter. Good thing there are books for all of us, huh? This whole thing is nuts! I’ve loved both of these novels by Daisy Goodwin and am so anxious to read more!! Go, Daisy! You are an awesome author!! I really wanted to like The American Heiress – it was actually a book that my book club chose to read and discuss. Once we’d read it we unanimously decided to read and discuss something else. There just didn’t seem like there was enough to actually talk about! I love the whole dollar princesses thing, I’m completely fascinated by the entire era and have read a lot about personalities of the time so I’m pretty familiar with them. It should have been everything I want in a book. But it just was not. I’m so glad, though, that The Fortune Hunter was so wonderful. It completely redeemed Goodwin for me and I’m really looking forward to whatever she has planned next. Especially if it features Queen Victoria!